Ernst Messerschmid graduated from the Technisches Gymnasium, Stuttgart, Germany in 1965. He studied physics at the University of Tübingen and Bonn in 1967 to 1972. After graduating, Ernst Messerschmid worked as a CERN Fellow (1972-1975) and as a research assistant at the University of Freiburg/Breisgau where he received his Doctors degree (1976). His doctoral thesis was on "Longitudinal Instabilities of Relativistic Proton Beams in Synchrotrons". As a result of his time at CERN (visiting scientist, 1970; Fellow, 1972-1975), in 1977, Ernst Messerschmid worked as a researcher at DESY, Hamburg, when he became interested in space technology and utilisation, and participated as a German astronaut candidate in the first ESA astronaut selection campaign. Following this, in 1978, he joined the German Aerospace Center (DLR) in Oberpfaffenhofen, where he worked in the area of satellite-based search and rescue communication systems. In 1983, Ernst Messerschmid was selected as a science astronaut based at DLR in Cologne, Germany. 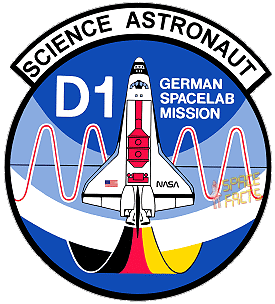 After science training conducted at different universities and industrial laboratories, and after his flight training at ESA and NASA, he was assigned as a crewmember of the German Spacelab Mission D1 in 1985. From November 1986, Ernst Messerschmid has been Professor and Director of the Space Systems Institute (IRS) at the University of Stuttgart. He held various high ranking positions as Chairman of a Collaborative Research Center and was responsible for a variety of research activities at University institutes, industry and DLR laboratories. 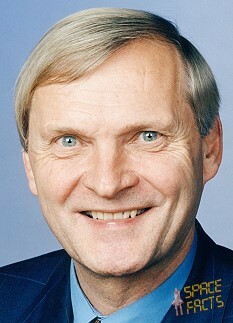 At Stuttgart University, Ernst Messerschmid was Dean of the Aerospace faculty from 1990 to 1992 and Vice-President (Provost) from 1996 to 1998. From 2000 to 2004 Ernst Messerschmid was Head of the European Astronaut Centre (EAC), in Cologne, Germany. Ernst Messerschmid has now left ESA and returned to his Professorship in Astronautics and Space Stations at the Institute of Space Systems University of Stuttgart. He was from 53 European candidates for the 1977 ESA Spacelab-1 selection one of six German candidates, but not selected then.